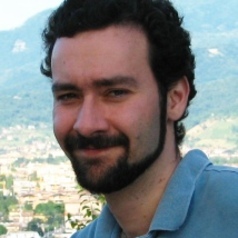 Dr. Sergio Bertazzo joined Imperial College as research associate after a postdoctoral stay in Germany and another in Brazil. Dr Bertazzo received a PhD in Physical Chemistry graduating with a perfect score from the University of Campinas, which is one of the “top 50 universities under 50” (QS World University Rankings). His undergraduate and postgraduate research on biomineralisation, focused mainly on calcium phosphates, was continuously supported by individual grants. In addition to research grants, Dr. Bertazzo has been awarded several prizes, including the C. Walton Lillehei Young Investigator Award, from the Society for Heart Valve Disease and the Heart Valve Society of America, for the most promising research in cardiac valve disease. Dr. Bertazzo is a specialist in electron microscopy imaging of calcified tissues, and has been trained to operate different kinds of electron microscopes and prepare biological samples by different methods. Dr. Bertazzo has spent the last three years imaging cardiovascular calcified tissues with different electron microscopes and developed several new methods to prepare and image these tissues, including the Correlative Ligth-Ion Microscopy (CLIM), a method that combines different microscopes in the imaging of such samples. His main research interest is the formation and behaviour of calcium phosphates in different biological contexts. His current research focuses on the formation of calcium phosphates in human soft tissues, such as heart valves and arteries, with the final aim of potentially developing treatments for calcific heart diseases and preventing these pathologies. The impact of this research project can be gauged by the extensive reach of cardiovascular diseases, the top killers in the world today according to the UN. Dr. Bertazzo is also really keen on improving recognition of scientific results and basic research by exploring the aesthetic possibilities of presenting scientific outputs. He developed new imaging methods where scanning electron micrographs can be presented in colours, which are for the first time correlated with the composition and density of the material. In addition to developing new methods, Dr. Bertazzo has also redesigned old methods to produce 3D electron microscopy images using updated technology.